Great for sample plates, hors d'oeuvres, and appetizers. Case of 10,000 pieces. This size is great for sample plates, hors d'oeuvres, and appetizers. Sharp points for easy piercing, decorative ends for great presentation. 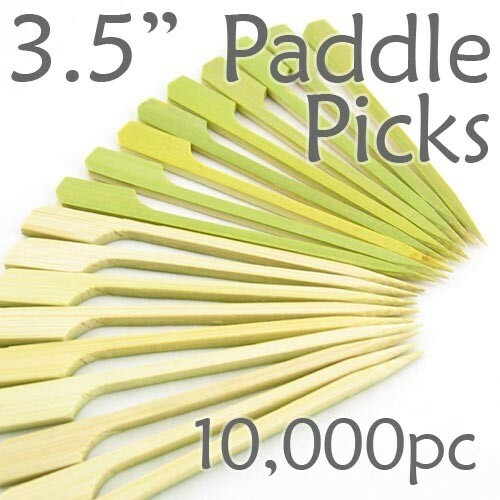 *Although some pictures may show ThinkBamboo branded into the picks, All paddle picks purchased though this site will ship plain and brand free unless specifically noted.